Represented M.C.C. Baseball Section from 1932-1936, S.C. Lansdown VBA best & fairest 1934, Victorian Baseball Team 1932, 1935. Born in Henry Co, Ohio in 1899, a First World War participant signing up in 1918. He went on to medical studies at Toledo University and later the American School of Osteopathy becoming an Osteopath in Illinois. 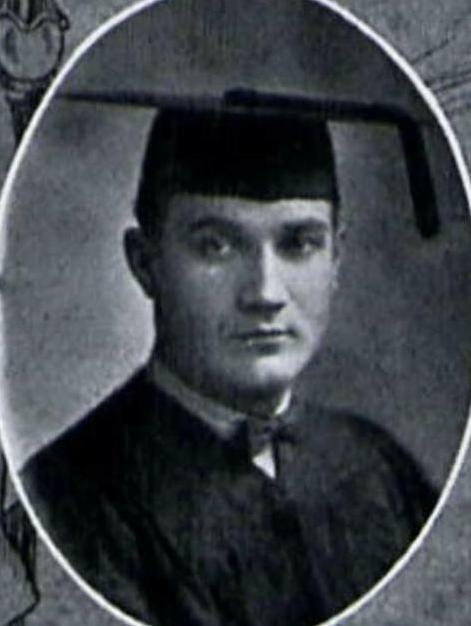 While studying Osteopathy at Kirksville, he was wanted as a pitcher by the Detroit Tigers, but a claim of Birmingham (Alabama) club of the Southern Association could not be adjusted satisfactorily. Ballmer refusing to play minor league ball, pitched for Hannibal as their Ace as a semi-pro for a number of years in the late 1920’s during the existence of the Ill-Mo league and practiced Osteopathy in Hannibal. He had earlier played professionally in class A Baseball for the Birmingham Barons in the Southern Association in 1919 which was the cause of the claim made by the Barons against the Detroit Tigers taking him. He came to Melbourne in 1931, as an Osteopathic surgeon, he took up Baseball again while here playing for Prahran in 1931 and Y.M.C.A in the summer before coming to the M.C.C. in 1932. Perry Ballmer, the giant American first baseman and mighty hitter, as the inaugural award winner of the Charles Lansdown medal in 1934 for the best and fairest Baseballer in the league division of the Victoria Baseball Association. Undoubtedly Perry was one of the greatest players ever to represent the club and one of the most popular. He was an active member of the community, regularly giving speeches on healthy eating habits, baseball techniques and teamwork and along with his wife Anne, was active in charity work raising funds for the Children’s Hospital through the American Women’s Auxiliary. All were saddened to hear the death of Perry in 1937 after a short illness caused by peritonitis. He left a widow Anne Elizabeth and a daughter Dorothy Perrine.